You and your pet will love these pet friendly hotels, oceanfront rentals, bnbs, and other accommodations. St. Augustine boasts dozens of pet friendly places to stay. The Nation’s Old City is a destination for you and your pet alike. 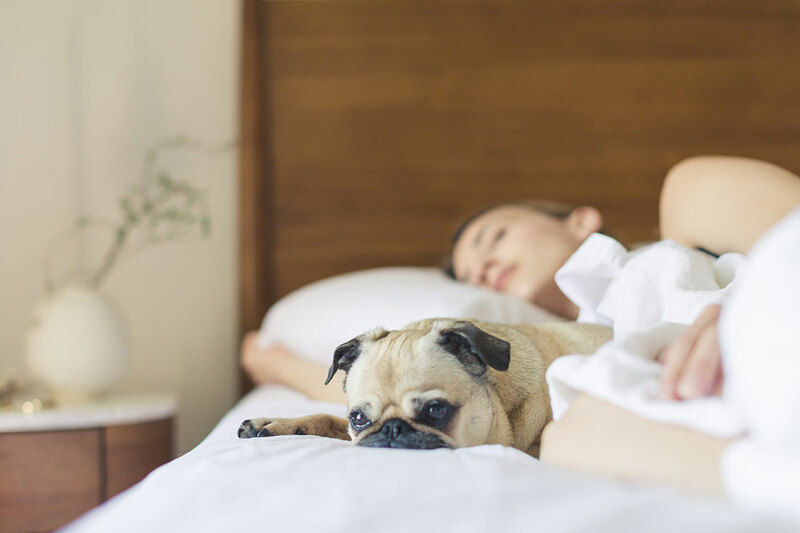 Use this page to discover pet friendly bed and breakfasts, dog friendly hotel chains, pet friendly vacation rentals and many more accommodations that welcome pets. Wherever you decide to stay, rest assured knowing there is a cozy “home away from home” in St. Augustine for your entire family. Traveling with your four-legged friend shouldn’t be complicated and you’ll find a trip to St. Augustine is anything but that. In fact, many of St. Augustine’s pet friendly places to stay have pet amenities like comfy beds, special bowls for food and water, pet treats and more. There are even several bed and breakfasts, hotels, and vacation rentals that have dog-runs. Additionally, St. Augustine was voted one of the most walkable cities in the United States by AAA. Our accessible streets mean that your pet will get plenty of exercise walking around the city. Our immaculate 4BR, 3BA open-concept oceanfront home is located only 7.5 miles from downtown St. Augustine and is pet friendly. Enjoy panoramic views from one of three private oceanfront decks, including a rooftop deck and screened-in porch! We have over thirty 5-Star Reviews on HomeAway. 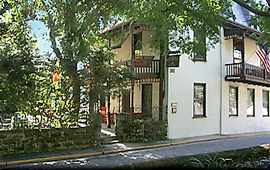 Please visit our website and find out why our home should be your next vacation spot! 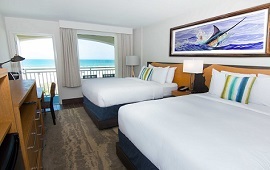 Beacher's Lodge offers amazing views from over 100 ocean front one bedroom suites. Fully equipped kitchenettes, private balconies, an ocean front heated pool and only 10 miles south of historic St. Augustine on beautiful Crescent Beach. 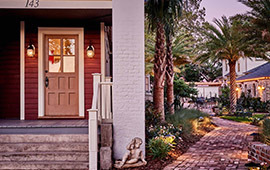 Your perfect St. Augustine getaway for the day or the week or the month. Come stay with us at Beacher's Lodge, where the beach life begins. Antique style meets modern conveniences with fireplaces, balconies, whirlpool tubs, bicycles, swimming pool, parking, and more. Located in the historic district everything is within walking distance, perfect for your leash walking pets! In our pet friendly rooms, find a treat bag and a keepsake bowl. You won’t leave your pet behind with our lists of pet friendly restaurants and attractions! 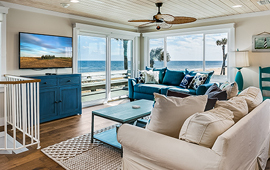 Offering a selection of beach rental properties from Premier Homes with top quality furnishings and decor to Casual Homes with comfortable furnishings (some even pet-friendly), there is sure to be an Oceanfront vacation property for you! 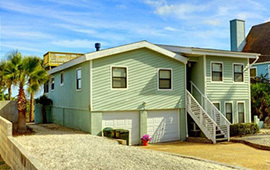 These private homes offer the comfort of a 'home away from home' while providing a carefree, relaxing getaway. Make your vacation arrangements today! 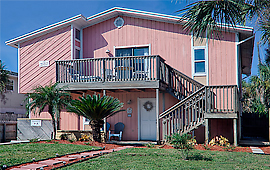 The perfect vacation combination... comfortable, homey, fully appointed accommodations at the beach. 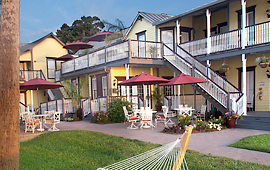 Guests at Our Beach Lodgings enjoy many of the guest amenities of fine bed and breakfast lodging. See which accommodations best fit your needs: Our Beach House, Our Beach Cottage, or Our Beach Bungalow! The beach is just steps away from each of our accommodations. 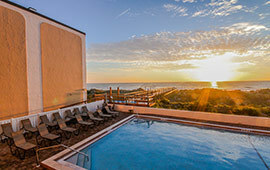 Our resort is located directly on St Augustine Beach with incredible views of the Atlantic Ocean. Enjoy the sun, surf, or sand, and a multitude of activities. Enjoy a snack or frozen cocktail from the poolside Surf Shack. And come dine in the new restaurant, The Guy Harvey Grille and Grog! In addition to places to stay, there are several attractions, restaurants, tours, and parks that are pet friendly in St. Augustine. 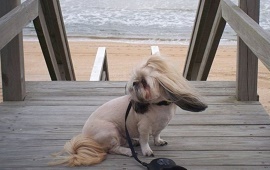 By day, enjoy the convenience of your oceanfront vacation rental with a walk on one of our several pet friendly beaches. By afternoon, leave your dog friendly hotel to explore the Fountain of Youth or the Mission Nombre de Dios with your pet. By night, walk a short distance from your pet friendly historic bnb to enjoy the ambiance of one of the many pet friendly restaurants in St. Augustine. There is plenty to wag and purr about in the Nation’s Oldest City. 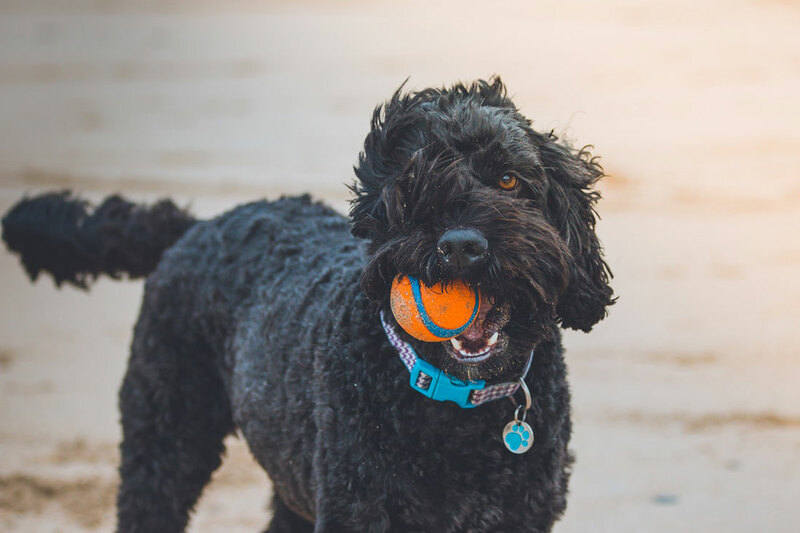 In sum, whether you’re visiting St. Augustine to enjoy miles of pristine beaches, dozens of attractions, or centuries of history don’t hesitate to bring your 4-legged pet along. St. Augustine has pet friendly hotels, vacation rentals, resorts and other pet friendly accommodations that would love to have you and your pet lodge with them.